Earning yourself a free ticket by bus is one of the easiest task one can ever engage in. The only thing you've got to have is courage and guts because lacking any of these qualities most definitely means you ain't getting anywhere. Today without further ado, am going to give out a few tips on how to win yourself that desired trip to the destination of choice. 1. Ten Tickets For a Free Ride Policy. This policy is most common in almost all bus companies in Kenya. The policy states that one should have at least ten travel tickets with him from the company and all tickets should have a common name and travel route used by the traveler. Once this is verified and proven correct, the person earns a free travel ticket on the same travel route. This policy is always seen as an award to customers for their loyalty to the company. 2. Facebook Picture Competitions and Challenges. These competitions/challenges do occur occasionally from specific bus companies in Kenya. The most common known competition is Laxa Selfie from Mash East Africa, one among the recognized bus company in East Africa for Safety. 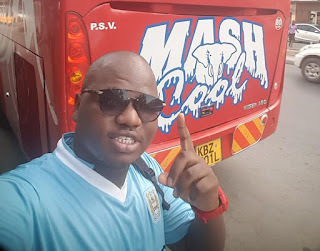 In Laxa selfie, one should take a photo most specifically a selfie photo with any Mash EA bus or be on-board a Mash bus, upload it on facebook with the hash-tag Laxa Selfie and engage his/her friend to like the picture. The person with the most counts of likes wins a free ticket while the others get airtime loaded on their lines. This competitions are not bound on Mash only but also occur in other bus companies e.g Simba Coach, the Pride of Travelers etc. 3. Get Into a Bus, Grab a Seat & Let Karma Decide. This is always a 50-50 chance to earn yourself that lucky free travel ticket to a certain destination in Kenya. To get this luck, one should always trust in the Karma in him/her, sit down tight and blend in with the other travelers on board the bus. The trick mostly occurs in Malindi with our Lamu bound buses. 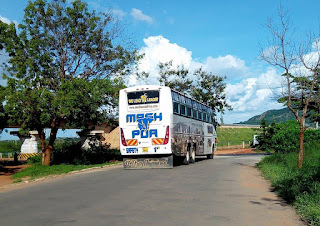 Most buses do not check on the number of travelers in the bus once they depart from Malindi after the 10-15 minutes break for lunch or breakfast. The simple thing is to get into the bus, grab a back seat but not not the bench, sit tight and get the free bus ride to where the bus is heading. Please NOTE that you should always have cash with you as this not a guaranteed way to travel free. Feel free to drop in your comments on the comment section below, share with us a few tips on how to win a free travel ticket and help a friend. Bus Kenya, We Will Take You There..